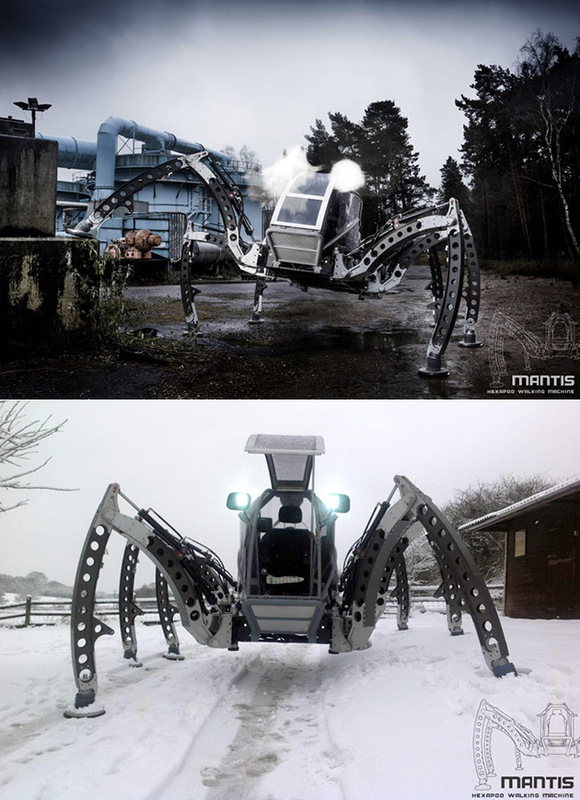 Engineer Matt Denton and a small team have spent 4-years building “Mantis,” a fully-functional robotic walking machine. It’s touted as “the biggest, all-terrain operational hexapod robot in the world,” standing 2.8 meters tall and weighing in at a hefty 1,700 kilograms. The machine is powered by a Perkins 2.2 liter turbo diesel engine, and is supported by 6 hydraulic legs, which are controlled with two PCs, one running Linux and HexEngine – the software that control the 18 hydraulic actuators in the Mantis’s legs – and the other, Windows CE for the operator interface. Click here for the first image in today’s viral picture gallery. Continue reading for the five most popular viral videos today, including one of six snowball gadgets that were put to the test.